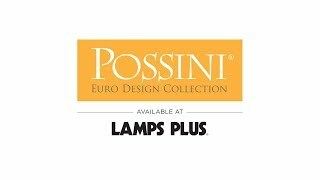 From Possini Euro Design comes a simple and lovely contemporary wall sconce design. The sleek chrome finish sconce features white glass for a clean, sophisticated look. A low-profile, ADA compliant lighting fixture, it comes equipped with energy-efficient LEDs inside. The LEDs are dimmable when used with an electronic low voltage dimmer, or LED rated dimmer. 10 3/4" high x 5 3/4" wide. Backplate is 8" high x 5 3/4" wide. Extends 2 1/2" from the wall for ADA compliance. Built-in 6 watt LED module. 480 lumens, comparable to a 40 watt incandescent bulb. 3000K color temperature. A clean and contemporary wall sconce style from Possini Euro Design®. 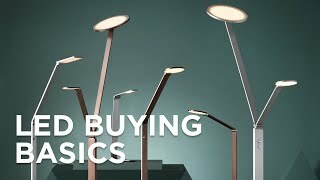 Energy-efficient LED design. Rectangular white glass. Chrome finish body. Can only be installed with the glass pointing up. Can the led bulb be changed/replaced? BEST ANSWER: Hi - the LEDs are built-in (integrated) and non-replaceable. MAY I INSTALL UP OR DOWN? BEST ANSWER: Hi Clare - No, this is designed to be mounted up only. Never thought of that way, but looking at ours briefly it could definitely work upside down. and block some of the light going up but don't think it would matter. Light is not that strong but where we have its perfect. Does this come in brushed nickel? BEST ANSWER: Unfortunately, this collection is not offered in a different finish. BEST ANSWER: Yes, this is a hardwired fixture that requires installation. sorry i can't help - a contractor installed them. as far as i know it was a simple connection. Much more attractive in person. I bought three for my master bath and they look great.